Westbrook breaks out his next Jordan shoe. Kanye West's Yeezy Season 4 show was a predictably star-studded affair, with athletes, rappers, and a whole host of Kardashians in attendance during the grand presentation on Roosevelt Island in New York City. Among them was Russell Westbrook, who arrived in a pair of unreleased Jordans. His presence wouldn't be all that surprising were it not for his allegiance to Nike and Jordan Brand–rivals of adidas, which has a long-term deal with West and helped put on the show. Westbrook is of course very into fashion, but it's still surprising to see a Nike/Jordan endorser of his stature at an event so closely associated with adidas. The model on Westbrook's feet for the show is the latest in a string of yet-to-be-released shoes he's donned this summer. 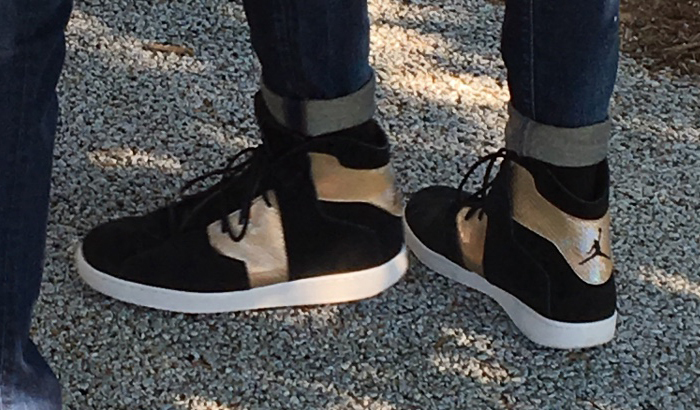 The silhouette appears to be his next signature model, the Jordan Westbrook 0.2.